On Dec. 17, Austin's Capital Metropolitan Transportation Authority (CapMetro) Board adopted a vision plan for an electrified future. A part of the transit agency's "Project Connect," the plan will kick off the process of expanding public transportation and implementing new technologies such as electric buses to better serve both the city and the environment. "CapMetro’s move today will help us get out of traffic and on board with efficient, clean and healthy transportation options," said TexPIRG Education Fund Director Bay Scoggin. 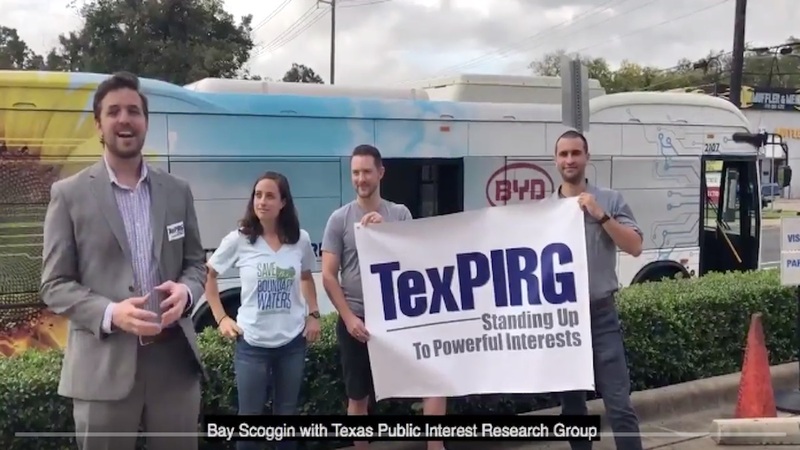 Photo Caption: TexPIRG Education Fund Director Bay Scoggin stands in front of a new electric bus in Austin to announce TexPIRG Education Fund's Paying for Electric Buses report.